The Nutcracker’s rich history includes a story by E. T. A Hoffman, and music by Tchaikovsky. Photo courtesy of publicdomainpictures.net. Most people know about Butler Ballet putting on “The Nutcracker” annually as a part of the holiday season. Based on E. T. A. Hoffman’s story “The Nutcracker and the Mouse King,” a young girl receives a nutcracker for Christmas and then subsequently dreams of the doll coming to life in a colorful adventure. The story of “The Nutcracker” has a rich history including music by Tchaikovsky that is recognized and loved internationally. What about the doll itself? 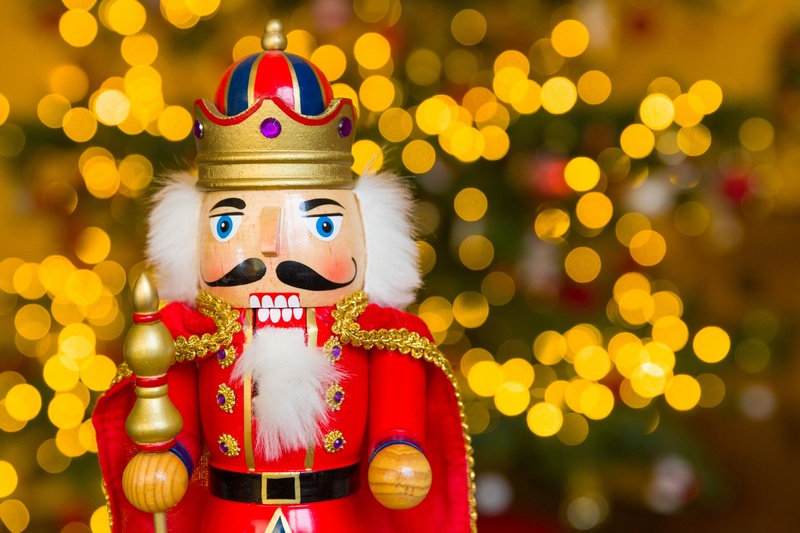 The nutcracker is featured in homes all over the world as a Christmas decoration and a season’s greeter. However, the doll itself has a story that’s a predecessor to the loved ballet. Many factors have contributed to the evolution of the nutcracker’s form, functionality and character: the availability of materials, advances in production techniques, styles of the times, consumer demand and even changes in the nuts themselves. “A study of nutcrackers is a study of history itself as they reflect the cultural values and innovations of the place and time of origin,” according to Nutcracker Museum. Nuts have been a significant part of the food supply since the beginning of time, and over the years, people have created ways to open the shells. The oldest known metal nutcracker dates to the third or fourth century B.C. By the 15th and 16th century, wood carvers in France and England were creating beautiful wooden nutcrackers. By the 18th and 19th centuries, carvers in Austria, Switzerland and northern Italy were producing many carved nutcrackers in the likeness of animals and humans. However, nutcracker dolls as we know them today originate from late 17th century Germany. In German tradition, the dolls were in the shape of soldiers and are symbols of good luck and scaring away bad spirits. They were often given as gifts and grew in popularity around the 19th century and spread to nearby European countries. As the demand grew, nutcracker doll production also began on a mass scale in factories. Friedrich Wilhelm Füchtner, commonly known in Germany as the “father of the nutcracker,” began the first mass production of the design at his workshop during 1872, according to Nutcracker Museum. Today, many wooden toy soldier nutcrackers are manufactured in Germany to meet the demands of the many collectors in the United States. This interest is renewed each year by the many productions of the “The Nutcracker” ballet. Collectors can now find designs in the characters from the ballet as well as hundreds of other designs. So, next time there is a performance of “The Nutcracker,” think about the history of the doll; the story told through dance will take a new meaning.